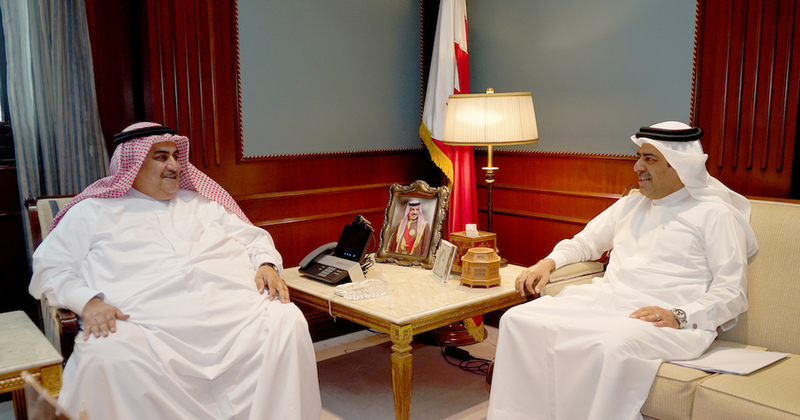 Foreign Affairs Minister, Shaikh Khalid bin Ahmed bin Mohammed Al Khalifa received Labour Market Regulatory Authority (LMRA) Chief Executive Officer Ausamah Abdulla Al Absi.The minister commended Al Absi’s efforts exerted by LMRA, their contributions in combating trafficking in persons, and their initiatives at various levels to reflect the keenness of Bahrain to promote human rights and consolidate freedoms. He also wished LMRA further successful in their work. Al Absi expressed his appreciation for the Ministry of Foreign Affair’s support for LMRA and their continuous cooperation in various issues at all levels, stressing LMRA’s keenness to continue its coordination in order to maintain the Kingdom’s distinguished status at the international level. This entry was posted in BNA and tagged Ausama AL Absi, Foreign Minister by Labour Market Regulatory Authority. Bookmark the permalink.